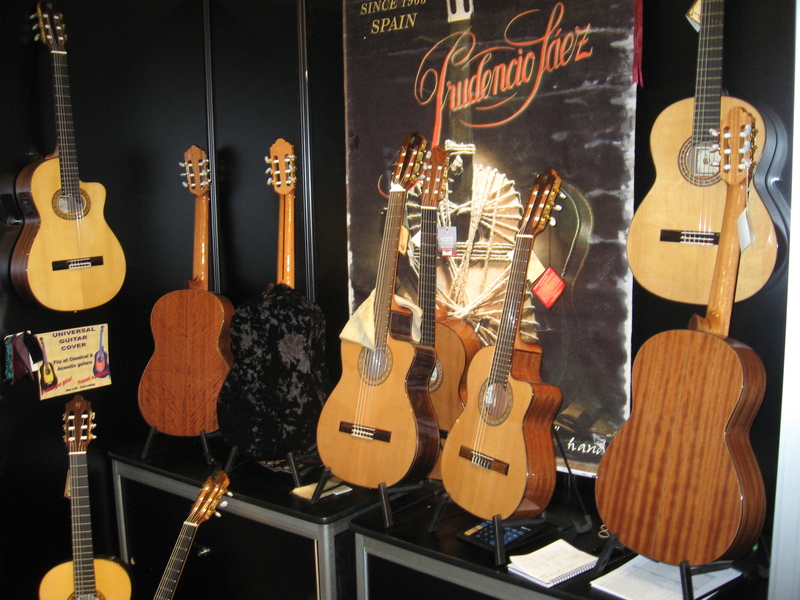 While both classical and flamenco guitars share common roots and building methods some distinctive musical demands of each style have led to the usage of different woods, dimensions, and setups. The rich and mellow tones desired of the classical guitar were not going to cut it for guitarists looking to accompany the canto (song) and baile (dance) of flamenco music. The guitars needed to evolve into lighter, brighter instruments with a hard percussive element that could then be heard against the dancer’s feet and the rough flamenco voice. Spanish cypress was chosen for the back and sides of the flamenco guitar due to its abundance and that it can be worked much thinner than rosewood , providing a faster attack and less sustain . The idea of vibrancy and lightness were also applied to the internal design, which used lighter braces, and the headstock were originally wooden peg heads were kept in favor to tuning machines in order to give better balance to the light body. Some other differences in the flamenco guitars are a flatter neck angle, lower polished frets, and lower action to allow faster passages to better flow. At the same time, to provide a greater percussive, electrifying sound , as well as the use of the ” Golpe ” adding a tap-plate to protect against the hits, drums, and slaps on the top. 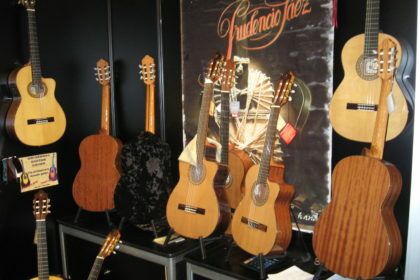 Spruce is the standard material for soundboards. These days the most commonly used species is Sitka, combined with the relatively light weight characteristics of most softwoods, is a recipe for high velocity of sound. A strong fundamental overtone gives spruce a powerful, direct tone that is capable of retaining its clarity when played forcefully. Spruce is an excellent choice of top wood for any kind of player .You will find spruce to have a brighter more separated tone. This lends itself nicely to multi-voiced music or baroque music as it highlights the clarity between the voices. Cedar ranges in color from honey brown to light chocolate. Cedar is more of a warm, round sound. The blend of voices that cedar offers brings out the depth of Romantic music and is of course, synonymous with the Spanish guitar. 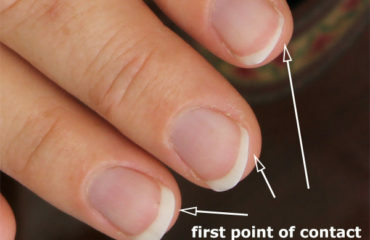 It has a quickness of sound that exceeds any of the spruces, a higher overtone content, and lower stiffness along the grain. Additionally, cedar tops require a significantly shorter break-in period than spruce tops.